1. Brock, W. H. (1993).The Norton History Of Chemistry. New York: W. W. Norton & Company. 2. Cannizzaro, S. (1858).Sketch of a course of chemical philosophy.Il NuovoCimento,V. vii, 321-366.原始論文網路來源：https://books.google.com.tw/books?id=eAQAAAAAMAAJ&pg=PA321&redir_esc=y#v=onepage&q&f=false.英文翻譯版本網路來源：http://www.chemteam.info/Chem-History/Cannizzaro.html. 4. deMilt, C. (1951). The congress at Karlsruhe.Journal of Chemical Education, 28(8), 421-425. 5. Hirota, N. (2016).A History of Modern Chemistry.Kyoto University Press. 6. Hudson, J. (1992).The History of Chemistry. New York: Chapman & Hill. 7. 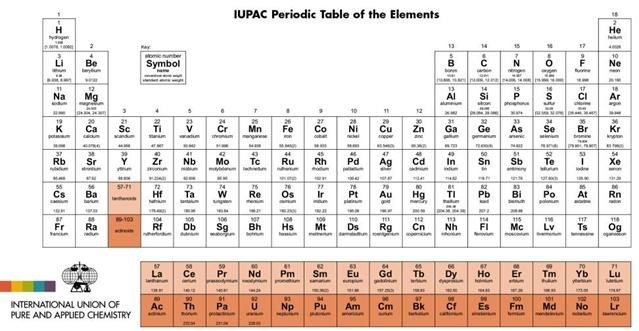 Mendeleev, D. (1869).On the Relationshipof the Properties of the Elements to their AtomicWeights.ZeitschriftfürChemie, 12, 405-406.英文翻譯版網路來源：http://newconcepts.club/uploads/Original_Paper_of_Mendeleev_1869.pdf. 8. Mendeleev, D. (1871).The Law of Periodic Regularity of the Chemical Elements.Annalen der Chemie und Pharmacie, Supplementband 8, 133-229. 9. Mendeleev, D. (1889). Mendeleev’s Faraday Lecture: The Periodic Classification of the Chemical Elements.原文網路來源：https://www.ias.ac.in/article/fulltext/reso/005/05/0104-0108. 10. 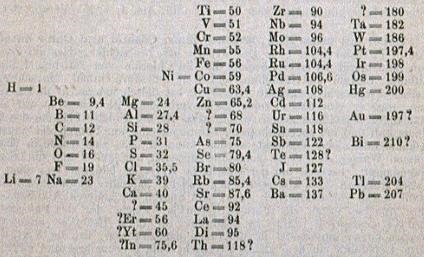 Meyer, L. (1870).The nature of the chemical elements as a function of their atomic weights. Annalen der Chemie und Pharmacie , Supplementband 7, 354-364.原文網路來源：https://books.google.com.tw/books?id=KdHyAAAAMAAJ&pg=PA354&redir_esc=y#v=onepage&q&f=false. 11. Rayleigh (1892).Density of nitrogen.Nature, 46(1196), 512-513. 12. Rayleigh (1895).Argon. Royal Institution Proceedings , 14 , 524-538. 原文網路來源 ： https://books.google.com.tw/books?id=a3IJ8poUW5cC&pg=PA524&redir_esc=y#v=onepage&q&f=false . 13. 蔡蘊明(2016). 化學的填字遊戲？台灣化學教育, 11, 一月號.